One of the most important considerations in designing a new or renovated kitchen is what lies beneath everything else. That’s the flooring – and there are many choices and considerations in choosing what’s right for you. 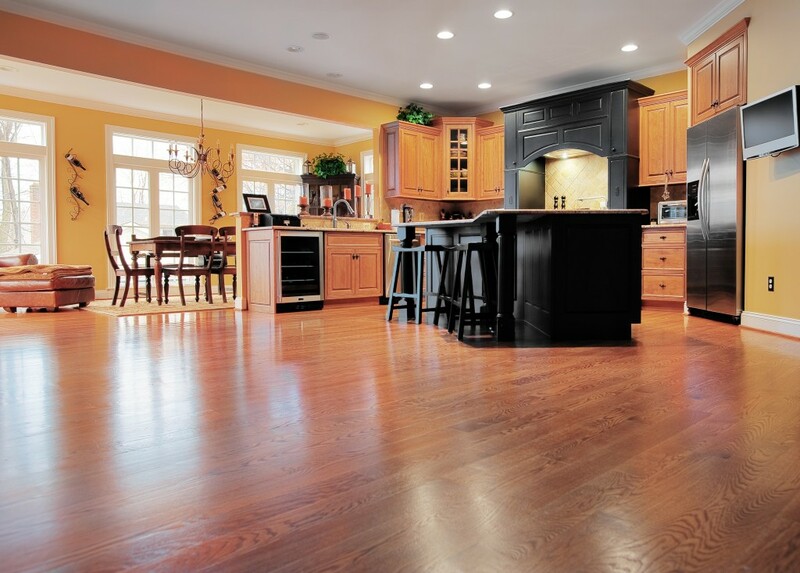 Houzz.com takes a look at the pros and cons of five popular kitchen flooring materials, including hardwood, tile, travertine, laminate and vinyl. Each is reviewed for its durability, price, longevity, cost and resale value. What’s the most preferred? Hardwood – and that’s what’s installed as standard in every new Sal Paone Builders home! Take a look at this helpful article and learn how to choose a floor material that’s the perfect fit for your kitchen vision. This entry was posted on Wednesday, January 31st, 2018 at 2:00 pm and is filed under Custom Home Building, Design Tips, Home Buyers, Home Maintenance Tips. You can follow any responses to this entry through the RSS 2.0 feed. You can leave a response, or trackback from your own site.